Discussion in 'Baby Club' started by Younglutonmum, Oct 7, 2008. Any of you ladies dressing your LOs up for Halloween even though they're too young to understand & go trick or treating?? it says im a cute little spider on it with a piccy of spider. although this was weeks ago. He's wearing it today and may be too long to fit into on october 31st! I have a cute little onsie that says 'baby's first Boo' on it. And a hat that says Boo. Then I also have a onsie with a peice of candy on it that says 'sweet' but seriously the face on the candy looks totally stoned! I also have a onsie for Baby's first Thanksgiving, it has a big turkey on it. Then for christmas one says 'babys first christmas' The other says : who need santa when there's grandma! Kacy is going trick or treating, she said to me she wants to dress up as a and she wants kira as her cat so that is what they are dressing up as. 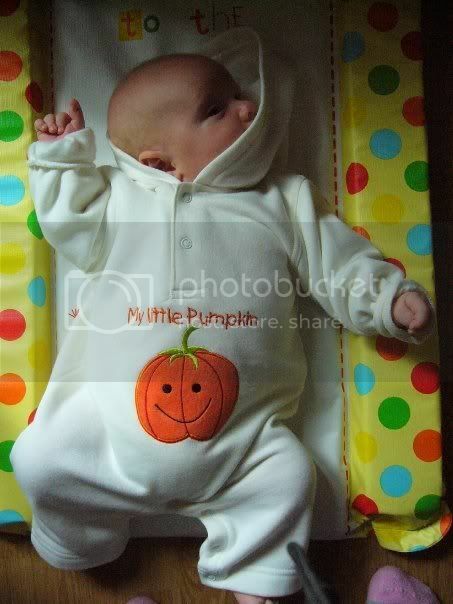 I love the pumpkin outfit - how cute is that?!? Do you mind me asking where it's from? Felicity is going to a little Halloween party with her NCT buddies - I got her a bat outfit. We should all post pics after the event! Wow! 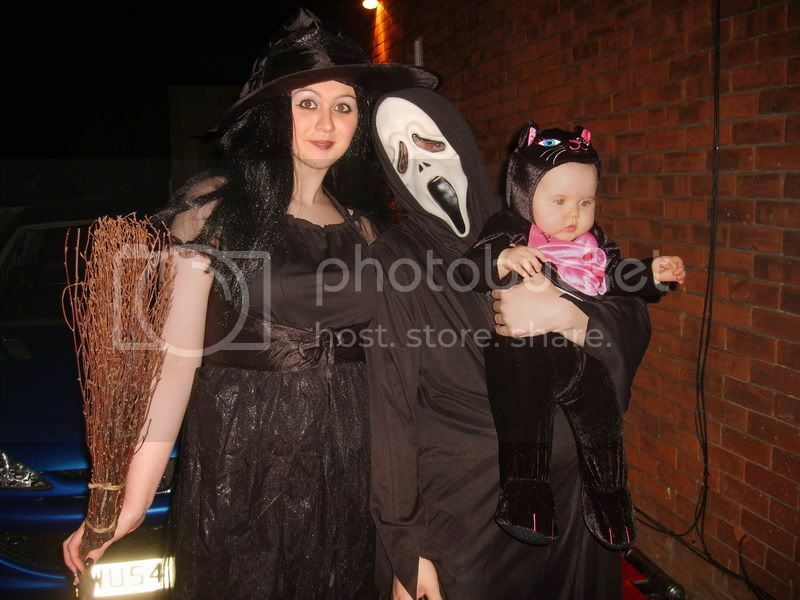 Your costumes are amazing. Where did you get the cat one from? I got Chase a sleeper that is the same color and has the markings of Tigger off of Winnie the Pooh. It also has a hood that has the face of Tigger.